Ahmadi, S., 2016. Microbiostratigraphy and sedimentary environment of the Sarvak and Kazhdumi formations in Bahregansar oilfield: PhD Thesis, Tehran University of Science and Research. pp: 5. Bourgeois, F., 1969. Kuh-e Bangestan: A model for cretaceous structures in Iran, techincal memoir 89. Iranian Offshore Oil Company Technical. Flugel, E., 2010. Microfacies of carbonate rocks, analysis, interpretation and application. Berlin: Springer. Kalantary, A., 1969. Foraminifera from the middle Jurassic-Cretaceous successions of Koppet-Dagh region (NE Iran). National Iranian Oil Company, Geological Laboratories. Khalili, M., 1974. The biostratigraphic synthesis of the Bangestan group in South West Iran. Report 1219, Tehran, Offshore Oil Company of Iran. Madadi, A., 1986. Report 1842, Tehran, Offshore Oil Company of Iran, Unpublished Paper. Motiei, H., 1992. Stretigraphy of Iran, Zagros stretigraphy. Geological Survey of Iran. pp: 232. Tabiyejou, S., M. Afghah, R. Sarnadi and A.R. Yamini, 2014. The determination and identification microfacies collection and sedimentary environments of Ilam and Sarvak reservoir in Sarvestan oil field. Proceeding of 32 National and 1 International Geoscience Congress Petroleum Geology, Iran, Ahvaz, 174. Wynd, J.D., 1965. Biofacies of the Iranian oil consortium agreement area IOOC Report No. 1082. Unpublished. 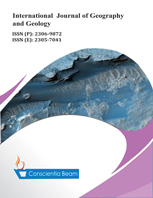 The aim of this paper is investigation of microbiostratigraphy and sedimentary environment of the Sarvak and Kazhdumi formations in Bahregansar oil field. To investigate these units, microbiostratigraphy and microfacies analyses were carried out on nearly 600 m of cuttings, including cutting plug samples and thin sections prepared from Bahregansar oil field in the Persian Gulf, SW Iran. 22 Species and genera of foraminifera were recognized and four biozones were identified. Also the microfacies analysis of the Sarvak and Kazhdumi formations in Bahregansar oil field is led to recognition fourteen microfacies of three facies belts (depositional environment) including open marine, bar and lagoon environments. This study is one of very few studies which have investigated the Upper Cretaceous of oil fields. The results of this study will help to make Upper Cretaceous biozones, interpretation of microfacies and depositional environments.